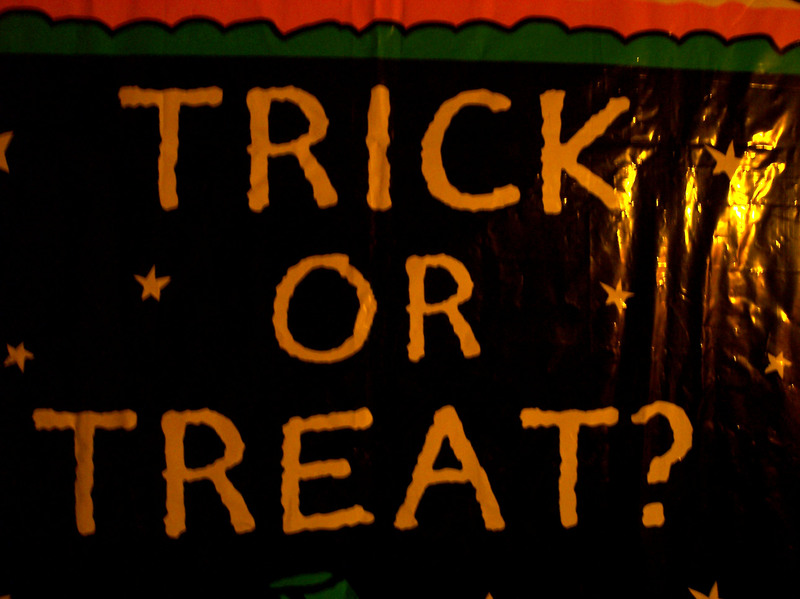 Some national restaurants chains are offerng special treats this Halloween … but watchout for the tricks! Or as the lawyers might call it . the fine print rules. Carrabba’s Italian Grill – Treat: Kids eat free 10/31 – 11/2. Trick: With the purchase of any adult entree. Chuck E. Cheese – Treat: Kids get 50 free tickets during the month of October. Trick: Kids must be wearing a costume in-store. .
Dunkin Donuts – Treat: Instagram and Twitter contest through 10-29. Five winners will get a $100m card (Dunkin Donuts products) Trick: Contest ended before Halloween. Krispy Kreme – Treat: Free donut when you come to the store on Halloween Trick: You must be wearing a costume. Sonic – Treat: Corn dogs are 50 cents all day on October 31. Trick: Stores reserve the right to limited number of corn dogs. Baskin-Robbins – Treat: Customers get 4 oz scoops of ice cream for $1.31 all day on Halloween. Trick: Los Angeles participating locations only. Site does not indicate if location is participating.